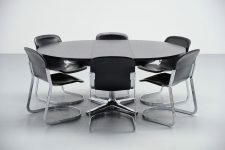 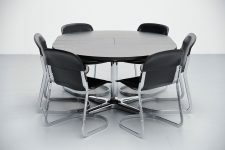 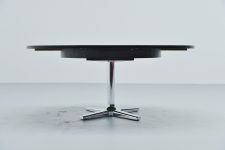 High quality functional dining table made and designed by Pastoe, Holland 1972. 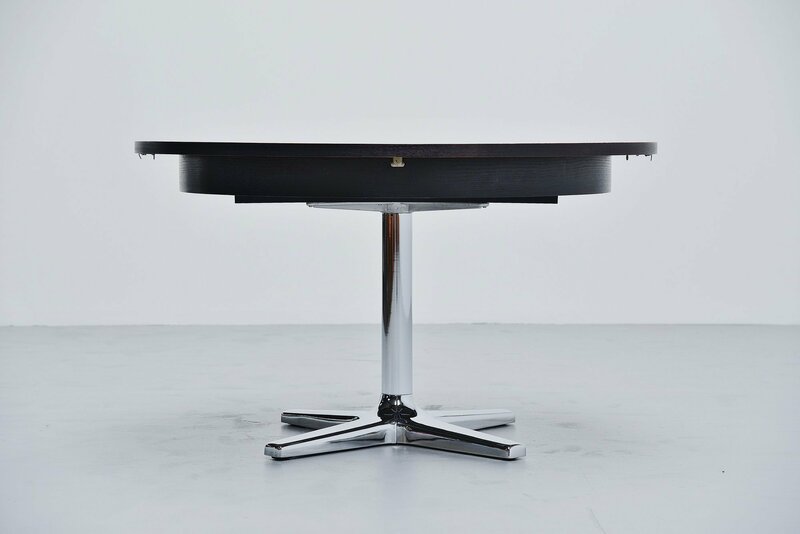 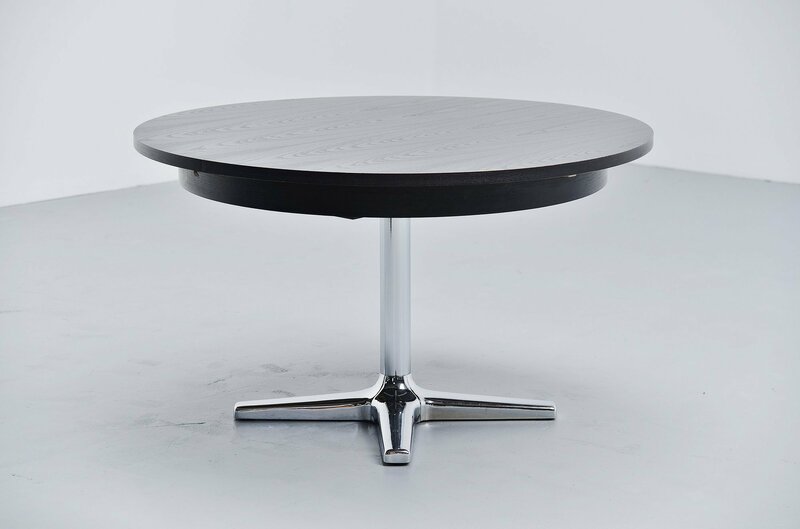 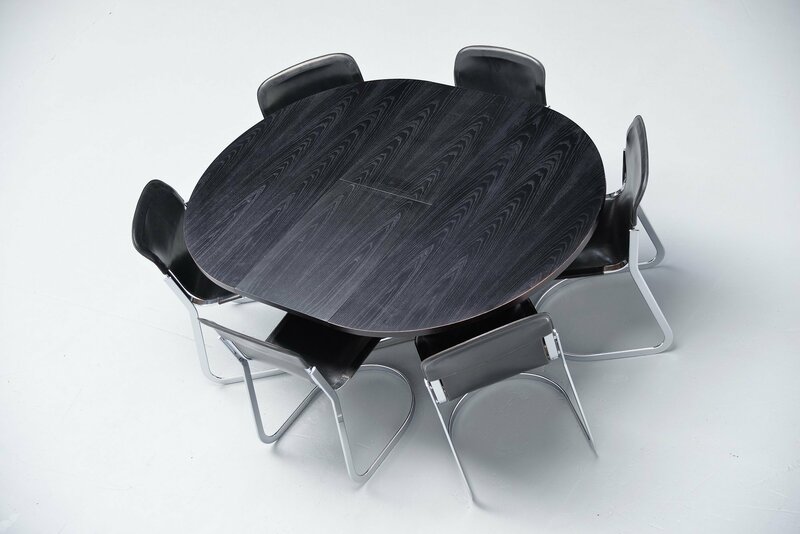 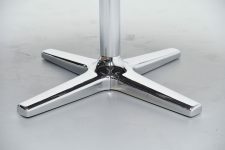 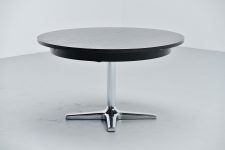 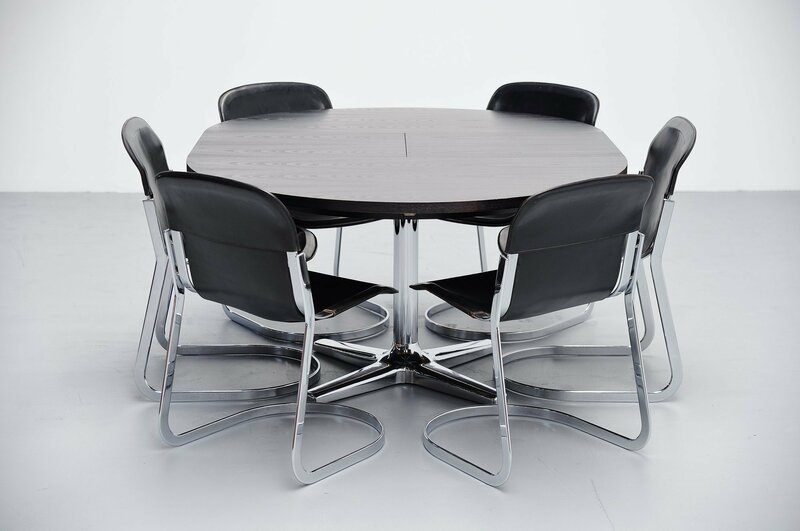 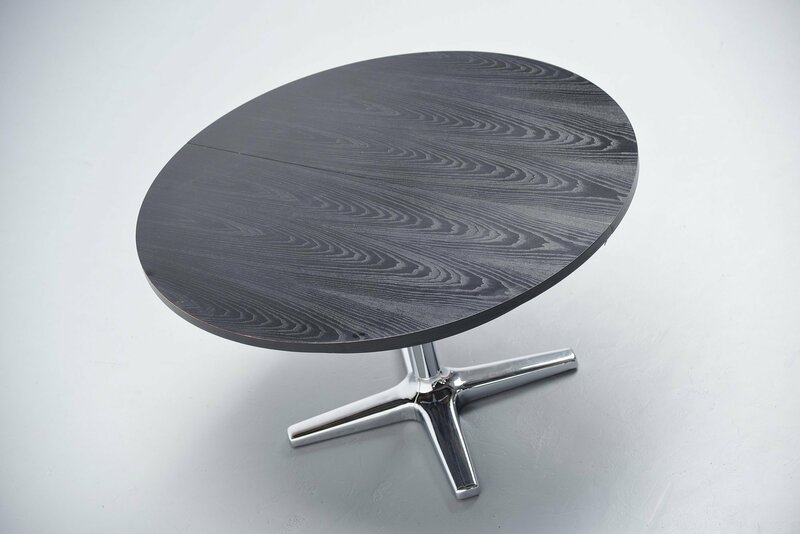 This table has a heavy chrome plated metal star shaped base and a black stained as wooden top that can be extended from round to oval (125-170 cm). 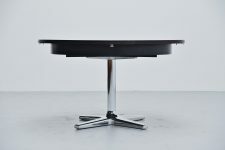 The table is in very good original condition and its very easy to extract it. 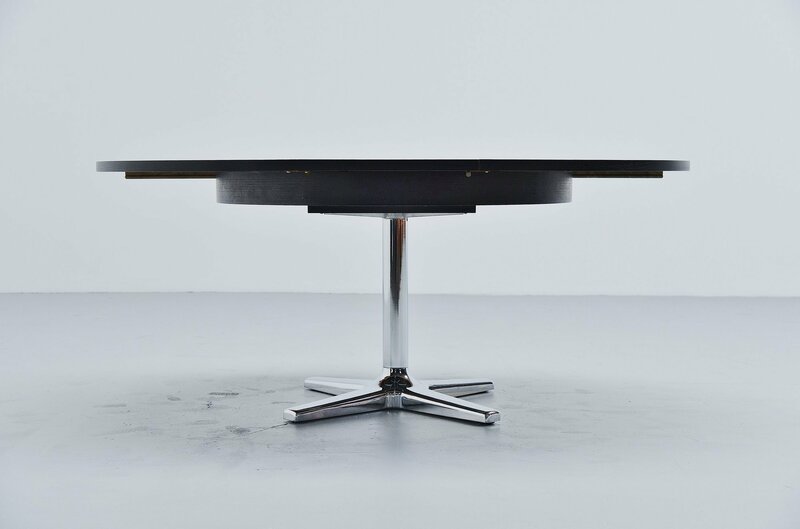 Nice timless designed table that would fit in many homes or interiors.